Artificial intelligence and other tech for automating some of the more repetitive aspects of human jobs continues to be a growing category of software, and today a company that builds tools to address this need for salespeople has raised a tidy sum to grow its business. SalesLoft, an Atlanta-based startup that has built a platform for salespeople to help them engage with their clients — providing communications tools, supporting data, and finally analytics to ‘coach’ salespeople to improve their processes — has raised $70 million in a Series D round of funding led by Insight Venture Partners with participation from HarbourVest. Kyle Porter, SalesLoft’s co-founder and CEO, would not disclose the amount of funding in an interview but he did confirm that it is double its valuation from the previous round, a $50 million Series C that included LinkedIn among the investors (more on that below). That round was just over a year ago and would have valued the firm at $250 million. That would put SalesLoft’s current valuation at about $500 million. While there are a number of CRM and sales tools out in the market today, Porter believes that many of the big ones might better be described as “dumb databases or repositories” of information rather than natively aimed at helping source and utilise data more effectively. SalesLoft is not the only one that has spotted this opportunity, of course. There are dozens of others that are either competing on single or all aspects of the same services that SalesLoft provides, including the likes of Clari, Chorus.ai, Gong, Conversica, Afiniti and not least Outreach — which is seen as a direct competitor on sales engagement and itself raised $114 million on a $1.1 billion valuation earlier this month. One of the notable distinctions for SalesLoft is that one of its strategic investors is LinkedIn, which participated in its Series C. Before Microsoft acquired it, LinkedIn was seen as a potential competitor to SalesForce, and many thought that Microsoft’s acquisition was made squarely to help it compete against the CRM giant. These days, Porter said that his company and LinkedIn have a tight integration by way of LinkedIn’s Sales Navigator product, which SalesLoft users can access and utilise directly within SalesLoft, and they have a hotline to be apprised of and help shape LinkedIn’s API developments. SalesLoft is also increasingly building links into Microsoft Dynamics, the company’s CRM business. “We are seeing the highest usage in our LinkedIn integration among all the other integrations we provide,” Porter told me. “Our customers find that it’s the third most important behind email and phone calls.” Email, for all its cons, remains the first. The fact that this is a crowded area of the market does speak to the opportunity and need for something effective, however, and the fact that SalesLoft has grown revenues 100 percent in each of the last two years, according to Porter, makes it a particularly attractive horse to bet on. Going forward, Porter said that in addition to expanding its footprint globally — recent openings include a new office in London — the company is going to go big on more AI and “intelligence” tools. The company already offers something it calls its “coaching network” which is not human but AI-based and analyses calls as they happen to provide pointers and feedback after the fact (similar to others like Gong and Chorus, I should note). “We want to give people a better way to deliver an authentic but ultimately human way to sell,” he said. As Slack gathered with its growing customer base this week at the Frontiers Conference in San Francisco, it announced several enhancements to the product including extending collaboration to folks who want to stick with email instead of hanging with their co-workers in Slack . Some habits are tough to break and using email as your file sharing and collaboration tool is one of them. Email is great for certain types of communications, but it was never really designed to be a full-fledged communications tool. While a tool like Slack might not ever fully replace email, it is going after it hard. But Andy Pflaum, director of project management at Slack says, rather than fight those folks, Slack decided to make it easier to include them with a new email and calendar bridge that enables team members who might not have made the leap to Slack to continue to be kept in the loop. Instead of opening Slack and seeing the thread, the message will come to these stragglers in their trusty old email inbox, just the way they like it. Earlier this month the company announced tighter integration between Slack and Outlook calendar and email (building on a similar integration with GMail and Google Calendar) where emails and calendar entries can be shared inside Slack. Pflaum says that the company is trying to take that email and calendar bridge idea one step further. With Microsoft focusing heavily on its cloud business, with both Azure and its other cloud-based services, it’s no surprise that this is also what Wall Street really cares about. The expectation here, according to some analysts, was that the company’s overall commercial cloud business would hit a run rate of about $38.5 billion. Those analysts we’re off by only a tiny bit. Microsoft today reported that its commercial cloud run-rate hot $38.4 billion. 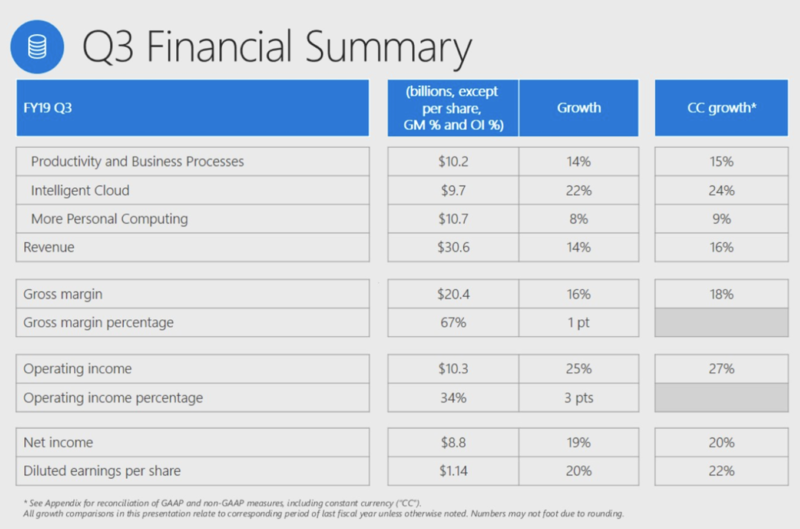 Azure’s growth slowed somewhat in recent quarters. In some ways, that’s to be expected, though. Microsoft’s cloud is now a massive business and posting 100 percent growth when you have a run rate of almost $40 billion becomes a bit harder. The company’s ‘intelligent cloud’ segment, which includes Azure and other cloud- and server-based products, reported revenue of $9.7 billion, up 22 percent from the year-ago quarter. Other highlights of the report include an increase in Surface revenue of 21 percent, which was expected given the number of new devices the company released in recent quarters. Databricks, the company founded by the original developers of the Apache Spark big data analytics engine, today announced that it has open-sourced Delta Lake, a storage layer that makes it easier to ensure data integrity as new data flows into an enterprise’s data lake by bringing ACID transactions to these vast data repositories. Delta Lake, which has long been a proprietary part of Databrick’s offering, is already in production use by companies like Viacom, Edmunds, Riot Games and McGraw Hill. The tool provides the ability to enforce specific schemas (which can be changed as necessary), to create snapshots and to ingest streaming data or backfill the lake as a batch job. Delta Lake also uses the Spark engine to handle the metadata of the data lake (which by itself is often a big data problem). Over time, Databricks also plans to add an audit trail, among other things. “Today nearly every company has a data lake they are trying to gain insights from, but data lakes have proven to lack data reliability. Delta Lake has eliminated these challenges for hundreds of enterprises. By making Delta Lake open source, developers will be able to easily build reliable data lakes and turn them into ‘Delta Lakes’,” said Ali Ghodsi, co-founder and CEO at Databricks. What’s important to note here is that Delta lake runs on top of existing data lakes and is compatible with the Apache spark APIs. To invite this community, Databricks plans to take outside contributions, just like the Spark project. Managed By Q, the office management platform recently acquired by WeWork, has today announced the launch of Task Management. The feature comes to Managed By Q by way of Hivy, a startup acquired by MBQ back in 2017, that focuses on connecting a company’s employees to the office manager that handles their requests. Pre-Hivy, collecting requests and tracking projects across a large number of employees was a tedious, fragmented process. Hivy created a dashboard that organizes all those requests in a single place. Since the acquisition, Managed By Q and Hivy have been working to integrate their respective platforms. Where Managed By Q connects office managers to the right vendor or MBQ operator to handle the job, the new Task Management system will connect office managers with the employees making the requests in the first place, essentially putting the entire pipeline in a single place. 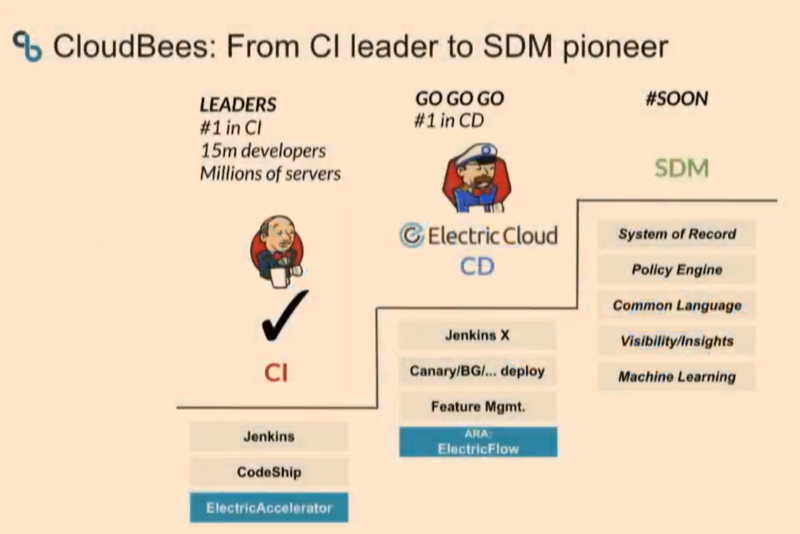 Obviously, the path to full integration was a long one. The timing is interesting in that this is the first product announcement Managed By Q has made since it was acquired by WeWork. He noted that Managed By Q is indeed setting out to do with WeWork what it just completed with Hivy. Embrace, an LA-based startup that offers a mobile-first application performance management platform, today announced that it has raised a $4.5 million funding round led by Pritzker Group Venture Capital. This brings the company’s total funding to $7 million. New investors Greycroft, Miramar Ventures and Vy Captial also participated in this round, as did previous investors Eniac Ventures, The Chernin Group, Techstars Ventures, Tikhon Bernstam of Parse and others. 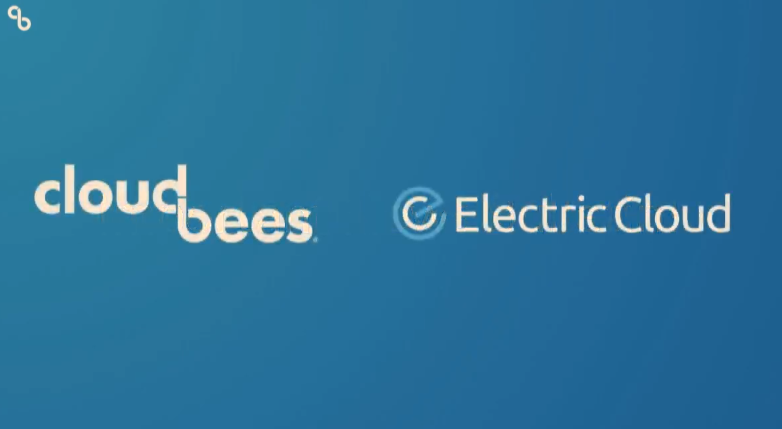 Current Embrace customers include the likes of Home Depot, Headspace, OKCupid, Boxed, Thrive Market and TuneIn. These companies use the service to get a better view of how their apps perform on their users’ devices. That’s because there are plenty of other issues beyond code exceptions, which many tools focus on almost exclusively, that can force an app to close (think memory issues or the OS shutting down the app because it uses too many CPU cycles). “To users, that looks like a crash. Your app closed. But in no way, that’s a crash from a technical perspective,” Futoran noted. Raising this new round, Futoran told me, was pretty easy. Indeed, Pritzker approached the company. “It was not fundraising,” he said. “They sat us down and said, ‘we want to fund you guys,’ which I find pretty unusual. So I’ve been calling it a pre-emptive round.” He also noted that having Pritzker involved should help open up the mid-west market for Embrace, which is mostly focusing on enterprise customers (though Futoran’s definition of ‘enterprise’ includes the likes of digital-first companies like Headspace). The company plans to use the new funding to increase its go-to-market capabilities, and grow its team to build out its technology. Docker and Arm today announced a major new partnership that will see the two companies collaborate in bringing improved support for the Arm platform to Docker’s tools. The main idea here is to make it easy for Docker developers to build their applications for the Arm platform right from their x86 desktops and then deploy them to the cloud (including the Arm-based AWS EC2 A1 instances), edge and IoT devices. Developers will be able to build their containers for Arm just like they do today, without the need for any cross-compliation. Typically, developers would have to build the containers they want to run on the Arm platform on an Arm-based server. With this system, which is the first result of this new partnership, Docker essentially emulates an Arm chip on the PC for building these images. Given that cloud-based Arm servers like Amazon’s A1 instances are often signficantly cheaper than x86 machines, users can achieve some immediate cost benefits by using this new system and running their containers on Arm. For Docker, this partnership opens up new opportunities, especially in areas where Arm chips are already strong, including edge and IoT scenarios. Arm, similarly, is interested in strengthening its developer ecosystem by making it easier to develop for its platform. The easier it is to build apps for the platform, the more likely developers are to then run them on servers that feature chips from Arm’s partners. Developers, however, Awad rightly noted, don’t want to have to deal with this complexity, yet they also increasingly need to ensure that their applications run on a wide variety of platform and that they can move them around as needed. “For us, this is about enabling developers and freeing them from lock-in on any particular area and allowing them to choose the right compute for the right job that is the most efficient for them,” Awad said. Mesina noted that the promise of Docker has long been to remove the dependence of applications from the infrastructure they run on. Adding Arm support simply extends this promise to an additional platform. He also stressed that the work on this was driven by the company’s enterprise customers. These are the users who have already set up their systems for cloud-native development with Docker’s tools — at least for their x86 development. Those customers are now looking at developing for their edge devices, too, and that often means developing for Arm-based devices. Awad and Messina both stressed that developers really don’t have to learn anything new to make this work. All of the usual Docker commands will just work. Our universe of connected things is expanding by the day: the number of objects with embedded processors now exceeds the number of smartphones globally and is projected to reach some 18 billion devices by 2022. But just as that number is growing, so are the opportunities for malicious hackers to use these embedded devices to crack into networks, disrupting how these objects work and stealing information, a problem that analysts estimate will cost $18.3 billion to address by 2023. Now, an Israeli startup called VDOO has raised $32 million to address this, with a platform that identifies and fixes security vulnerabilities in IoT devices, and then tests to make sure that the fixes work. The funding is being led by WRVI Capital and GGV Capital and also includes strategic investments from NTT DOCOMO (which works with VDOO), MS&AD Ventures (the venture arm of the global cyber insurance firm), and Avigdor Willenz (who founded both Galileo Technologies and Annapurna Labs, respectively acquired by Marvell and Amazon). 83North, Dell Technology Capital and David Strohm, who backed VDOO in its previous round of $13 million in January 2018, also participated, bringing the total raised by VDOO now to $45 million. VDOO — a reference to the Hebrew word that sounds like “vee-doo” and means “making sure” — was cofounded by Netanel Davidi (co-CEO), Uri Alter (also co-CEO) and Asaf Karas (CTO). Davidi and Alter previously co-founded Cyvera, a pioneer in endpoint security that was acquired by Palo Alto Networks and became the basis for its own endpoint security product; Karas meanwhile has extensive experience coming to VDOO of working, among other places, for the Israeli Defense Forces. In an interview, Davidi noted that the company was created out of one of the biggest shortfalls of IoT. The sheer number of devices on the market and their spread across a range of deployments from manufacturing and other industrial scenarios, through to in-home systems that can be vulnerable even when not connected to the internet, also makes for a complicated and uneven landscape. VDOO’s approach was to conceive of a very lightweight implementation that sits on a small group of devices — “small” is relative here: the set was 16,000 objects — applying machine learning to “learn” how different security vulnerabilities might behave to discover adjacent hacks that hadn’t yet been identified. “For any kind of vulnerability, using deep binary analysis capabilities, we try to understand the broader idea, to figure out how a similar vulnerability can emerge,” he said. It currently supports Linux- and Android-based operating systems, as well as FreeRTOS and support for more systems coming soon, Davidi said. It sells its services primarily to device makers, who can make over the air updates to their devices after they have been purchased and implemented to keep them up to date with the latest fixes. Typical devices currently secured with VDOO tech include safety and security devices such as surveillance cameras, NVRs & DVRs, fire alarm systems, access controls, routers, switches and access points, Davidi said. It’s the focus on providing security services for hardware makers, in fact, that helps VDOO stand out from the others in the field. Over the last 18 months, as VDOO has continued to expand its own reach, it has picked up customers along the way after identifying vulnerabilities in their devices. Its dataset covers some 70 million embedded systems’ binaries and more than 16,000 versions of embedded systems, and it has worked with customers to identify and address 150 zero-day vulnerabilities and 100,000 security issues that would have potentially impacted 1.5 billion devices. Interestingly, while VDOO is building its own IP, it is also working with a number of vendors to provide many of the fixes. Davidi says that VDOO and those vendors go through fairly rigorous screening processes before integrating, and the hope is that down the line there will more automation brought in for the “fixing” element using third-party solutions. Valuation is currently not being disclosed.